More than 250 alleged MS-13 gang members and associates were arrested after an investigation that lasted more than a year across two countries, authorities announced Wednesday. “Today I am pleased to announce the arrest of 267 MS-13 gang members and associates in conjunction of ICE’s most recent targeted anti-gang effort known as 'Operation Raging Bull,'” said Acting ICE Director Thomas Homan. “Operation Raging Bull” moved in two phases. The first netted 53 alleged gang members and associates in El Salvador after an 18-month investigation. They will mostly face charges in the Central American nation. The second phase of “Operation Raging Bull” occurred between Oct. 8 and Nov. 11. The Department of Homeland Security conducted a series of nationwide raids, which led to 214 arrests of people who allegedly had connections to the MS-13 gang. Of the 214 arrested, 93 were detained on federal or state criminal charges that ranged from assault to murder, Benner said. 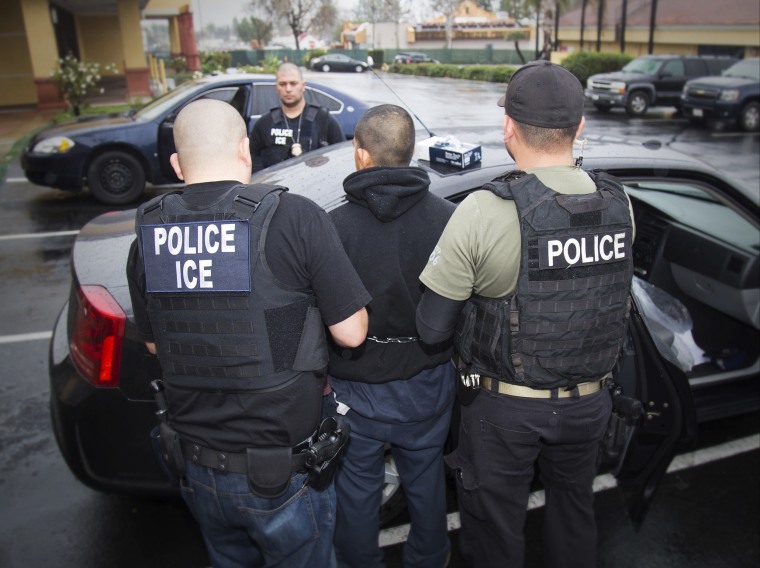 More than half of those arrested, 121 people, were held on administrative immigration violations. Benner also noted that 16 of the alleged MS-13 members or associates were U.S. citizens. The remaining 198 were foreign nationals, five of whom had legal status in the United States. President Donald Trump has previously emphasized the importance of cracking down on MS-13, an international criminal gang based principally in El Salvador. He delivered a fiery speech on Long Island in July in which he called members of the gang “animals” and promised to “destroy” them. "We're getting them out," Trump said at the time. "They're going to jails and then they're going back to their country, or they're going back to their country period."